Nothing lasts forever and tanks are no exception. Unlike roofs that LEAK AND YOU FIND WATER ON THE FLOOR, when a tank leaks the owner may not see any signs. Tanks that have been taken out of service, well they are like a box of chocolates, you never know what you will get (good or bad). 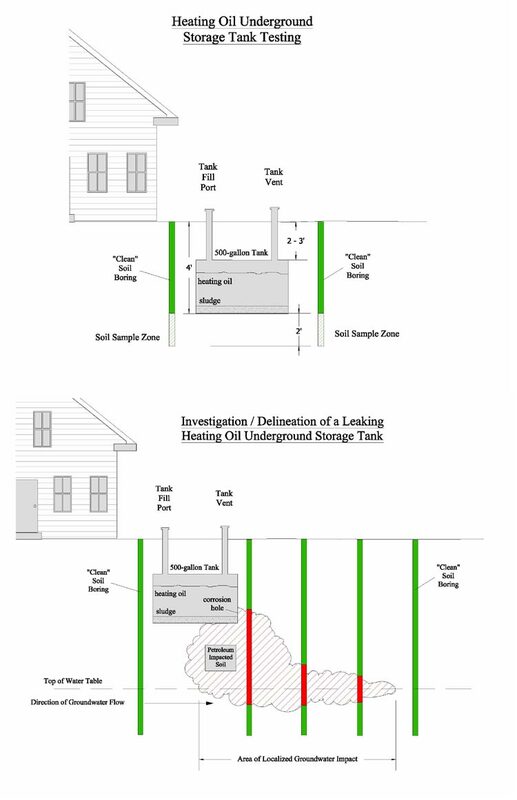 When a property owner needs an underground storage tank (UST) tested (tank investigated) to satisfy an agreement of sale in a real estate transaction, soil borings around the tank (UST) is the recommended course of action. This method of tank or soil investigation, tests the soil around the tank or the former tank area for the presence of heating oil. This method will not damage the tank or the landscaping. Curren's test methods are effective in identifying soil contamination resulting from a leaking UST, surface spill, or previously removed leaking tank system. The tank does not have to be filled with oil. Our test method is applicable to active (in use) tank systems, previously abandoned tank systems, and in conjunction with in-place tank abandonment closures..
Physically inspecting the soil around and below the tank sides for the presence of petroleum compounds. The methodology includes collecting bored soil samples from around the tank, then analyzing the samples for a state required test such as for Extractable Petroleum Hydrocarbons (EPH) for New Jersey, DRO (diesel range organics Delaware ) or Pennsylvania Short List â€“ Diesel Fuel / Fuel Oil No. 2 by EPA Method 8260C per Table IV-9 of the PADEP Storage Tank Program Guidance Section IV. Samples are submitted to independent state certified laboratory analyze the soil sample, ensures an unbiased and accurate test result. The laboratory data, once completed will be reviewed by a Curren project manager and the results will be compared to applicable state soil standards. 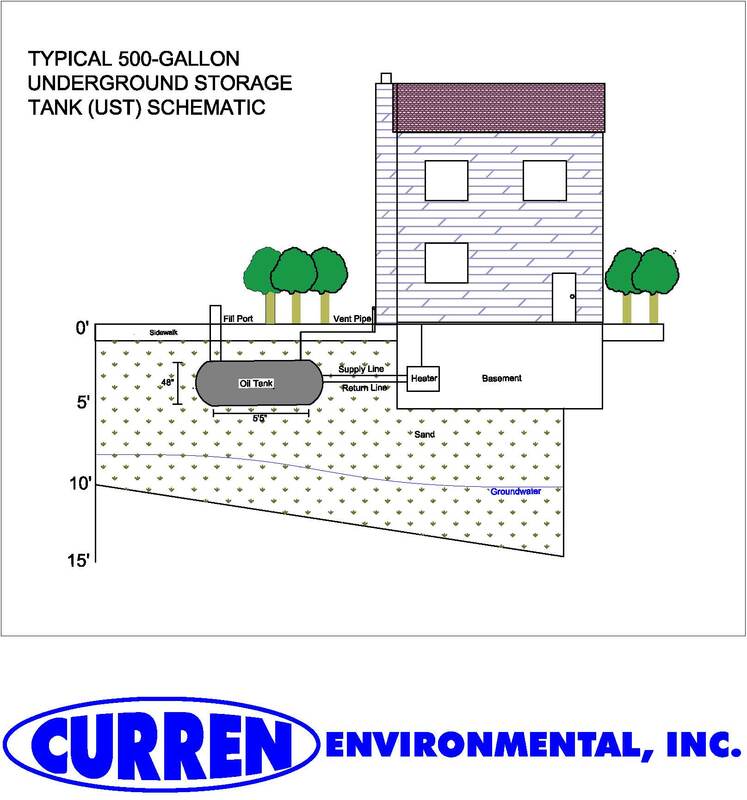 Curren Environmental will supply the homeowner with the dimensions, layout, and capacity of the tank which are then presented in a report format along with certification of findings. Selling or Buying a home with a heating oil tank. Changing Homeowner Insurance due to the presence of a heating oil tank. Converting from an underground heating oil tank to an above ground storage tank. Underground heating oil storage tank was removed and a release has occurred. A heating oil tank was filled with sand or foam and no report documenting the tank closure activities is available. Sudden increase in fuel oil consumption. A mortgage or reliance is occurring. What Should I do if my heating oil tank leaked? 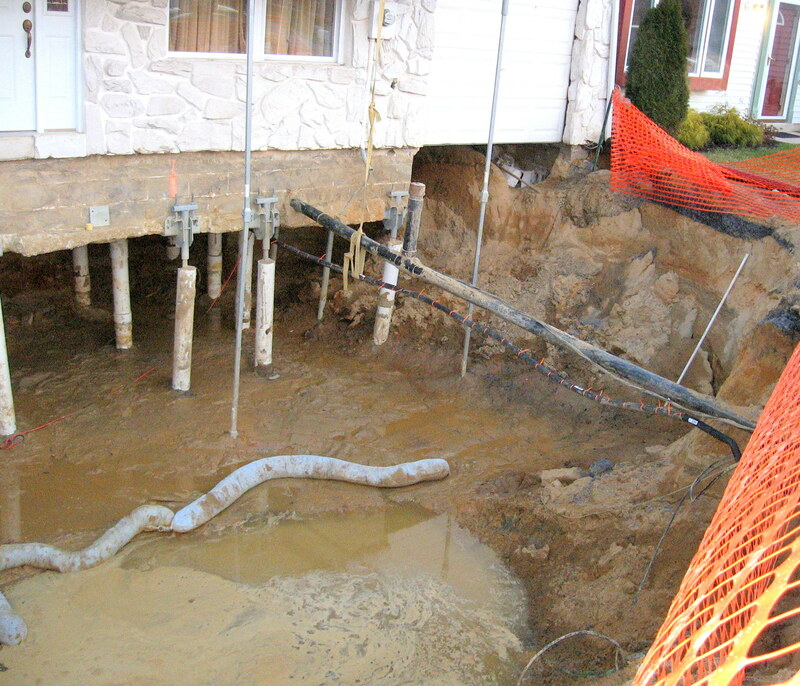 Once you have determined that your underground storage tank has leaked you must notify the applicable state agency, such as the NJDEP, PADEP or DNREC. Call your insurance carrier and report that a release has occurred so that you will be given a claim number and you will then find out if the tank leak is a covered loss. Call an certified Environmental Contractor such as Curren Environmental. The environmental contractor will go over the findings of the report, offer the best solution and the possible costs associated with the tank removal and/or the cleanup procedure that may be required. Will My Insurance Company Pay for the Oil Tank Cleanup? In order to understand the answer to this question we need to explain the difference between first party coverage and third party coverage. There are many factors that go into determining insurance coverage for a heating oil UST release. 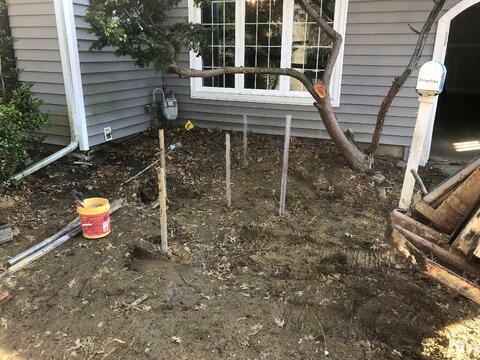 First party coverage deals with a leak and subsequent clean up that is confined to your personal property such as soil impacted with heating oil. Third party coverage deals with a leak and subsequent clean up that spreads to property you do not own such as your neighbor's property or groundwater on your property. Under New Jersey case law, the definition of third party coverage also includes the clean up of groundwater, even if it is limited to your property as groundwater is owned by the State of New Jersey not individual property owners. So when you contaminate groundwater you are damaging a third party which is the State of New Jersey. 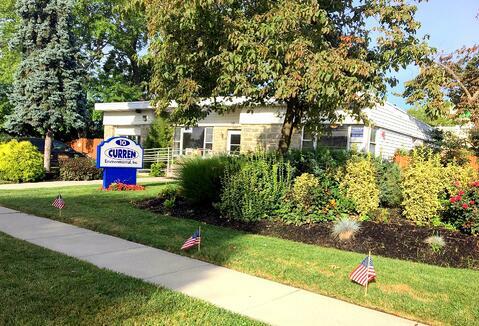 Curren Environmental maintains professional a relationship with many of the homeowners' insurance carriers, mortgage lenders and title companies that underwrite in the State of New Jersey, Pennsylvania and Delaware. 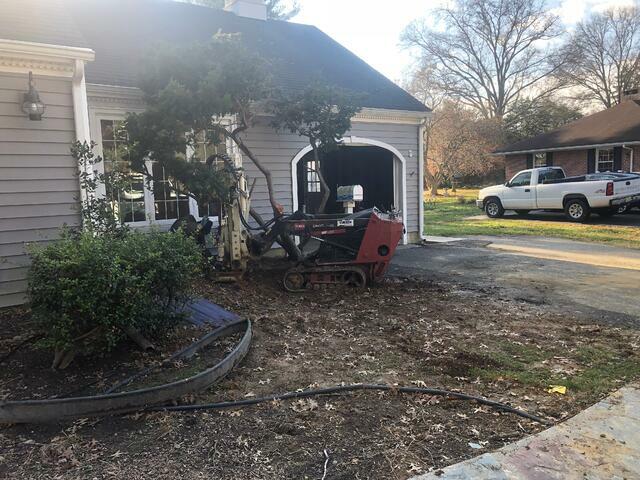 With over 18 years of experience Curren Environmental is well versed in the complicated world of the insurance industry as it relates to tank leaks.